How Does Drinking Contaminated Water Affect Our Health? Safe drinking water is essential to life. People in the U.S. often take safe drinking water for granted, but there are situations in which your water supply can become contaminated. Bacteria, viruses and pollutants can affect the water, and if you drink it, you could become ill immediately or, if the contamination is undetected and you drink it for a long period, you could develop chronic health issues. 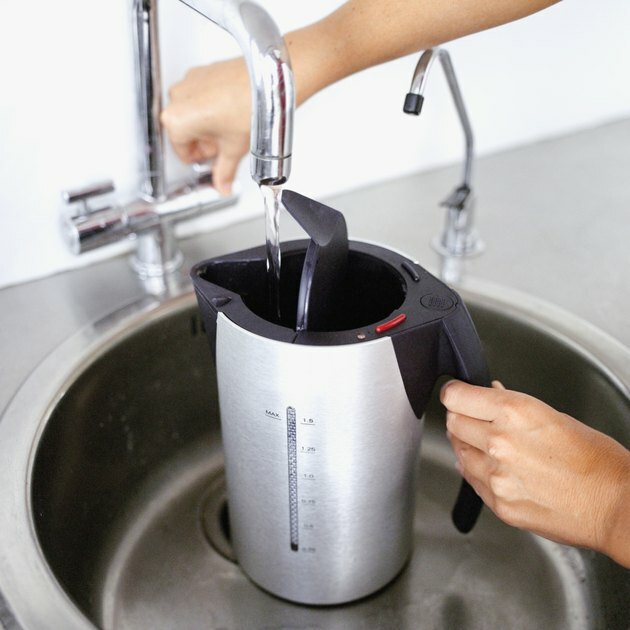 According to the North Carolina Cooperative Extension Service, there are four types of contaminants that can enter your drinking supply: microbial pathogens like salmonella and dysentery, organic compounds like pesticides and solvents, inorganic compounds like arsenic and lead, and radioactive elements like radon. Microbes can make you sick right away -- some symptoms include nausea, vomiting, diarrhea and stomach cramps. The other three types of contaminants usually don't cause any symptoms right away, but they can build up in your system over time and cause problems like thyroid disease and cancer. If your water source is exposed to the air, like a lake or reservoir, then it is exposed to acid rain and runoff from storms. During extreme rainy seasons, animal waste, pesticides and industrial waste that would normally be on the ground can end up in the water source. Sunlight and beneficial microbes break down some contaminants naturally. Well water can be contaminated when contaminants seep into the ground water from sources nearby, like improperly sealed waste dumping areas. Wells don't get contaminated as easily as open-air water sources, but it also can take a long time for the natural cleaning process to work. From time to time, communities will issue boil-water alerts, asking residents to treat all water before use. During a boil-water alert, you should not use any untreated water for brushing your teeth, cooking or drinking. You can shower with untreated water if you avoid getting it in your eyes and mouth. Boiling water will kill most bacteria, viruses and parasites but will not affect chemical contaminants or radiation. Although water is rarely 100 percent pure, you can expect it to be safe for drinking. As a result of the Clean Water Act, the Environmental Protection Agency sets the rules for what level of specific contaminants is acceptable in water systems. The EPA requires towns and cities to test their drinking water regularly and publishes the results in an annual water quality report. The agency does not regulate every possible water contaminant and doesn't test wells at private homes. If you are worried about your water supply, contact your local health department for information about water testing laboratories. Depending on how detailed you want the test to be, the test can cost from $15 to hundreds of dollars, as of publication. Is Alkaline Water Safe for Pregnant Women?